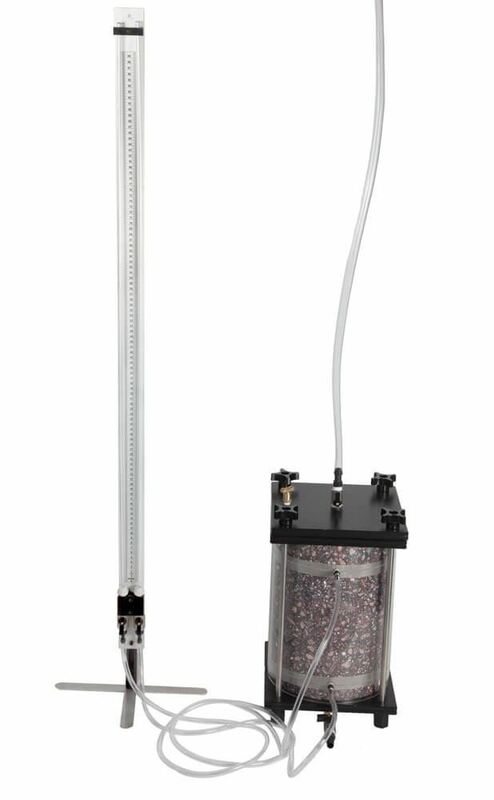 Manometers for Granular Soil Permeameters - Gilson Co. Free-Standing or Wall-Mounted Manometers measure permeability of soil samples by constant head or falling head methods and are designed for Soil Permeameters with two side ports. Both feature two acrylic tubes, each with its own valve, mounted on an aluminum rail. A 100cm scale with cm and mm graduations is affixed between the two tubes for monitoring flow volumes. 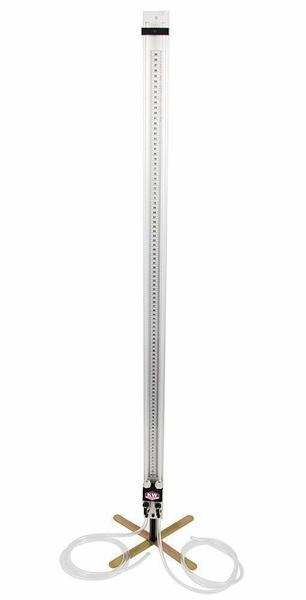 HMA-838 Free-Standing Manometer is supplied with a base plate, allowing it to stand alone on a counter top. HMA-839 Wall-Mounted Manometer is identical, but designed for wall mounting. 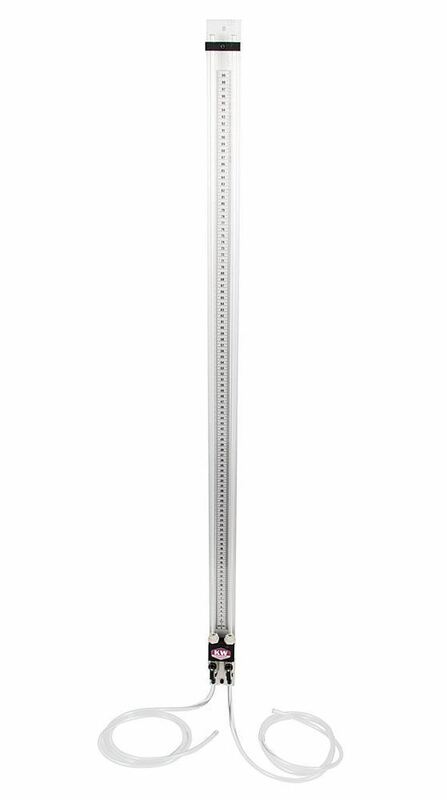 A Free-Standing or Wall-Mounted Manometer is required for use with ASTM/AASHTO Constant Head Permeameters, Shelby Tube Permeameters or Compaction Permeameters, and is purchased separately.